It is our pleasure to welcome Sebastian Heindl to St John’s Cathedral for the final organ concert in our 2018 series. The performance will take place on Friday, 29th June at 7:30PM, and will last approximately an hour. 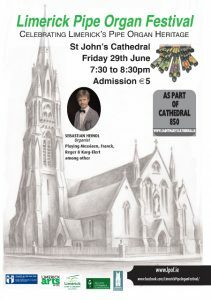 Sebastian won the Northern Ireland Organ Competition in 2017, and is doing a short organ recital tour of Ireland this summer, taking in St Patrick’s College, Maynooth and St Michael’s Church, Dun Laoghaire as well as Limerick. At the age of 17 he recorded his debut CD for Rondeau Production at the Great Schuke Organ at Magdeburg Cathedral including his own orchestral trancriptions. His playing on the recording was lauded by the press as “absolutely authentic, technically perfect, fiery, enthralling” (Organ_Journal für die Orgel). 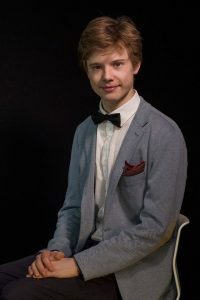 Sebastian performed as a soloist in many prestigious locations such as St Thomas Church Leipzig, Essen Cathedral, Altenburg Castle Chapel, Bach Church Arnstadt and the Gewandhaus Leipzig, where he gave his debut with the Poulenc organ concerto. In 2017 he won the Northern Ireland International Organ Competition giving him the opportunity to perform across the UK and in New York City in 2018. Currently he is studying church music at the University of Music in Leipzig with Prof. Martin Schmeding. He is a fellow of the “Studienstiftung des Deutschen Volkes” and the Richard Wagner Foundation. 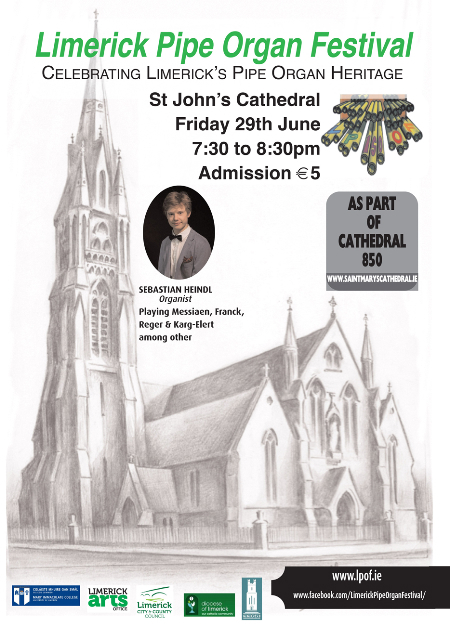 The recital is presented by the Limerick Pipe Organ Festival, in association with St Mary’s Cathedral 850 – and we gratefully acknowledge the funding support of Limerick City and County Council/Arts Office.